On the day we launch our annual Flood Action Campaign, John Curtin, the Environment Agency’s Executive Director of Flood and Coastal Risk Management writes about the importance of being #floodaware. I recently passed my 25th work anniversary with the Environment Agency and its predecessors. Reflecting on those 25 years it is amazing to see how flooding has crept into the nation’s physc – and it’s easy to see why. Record breaking rainfall has led to significant flooding over the last 4 years. Most people now accept that flooding is a major risk – but actually very few think it will affect them – it’s seen as someone else’s problem. Having your house and community flood is a miserable and life-changing experience and last winter we saw the significant impacts of this. Homes across the north of England were damaged as storm Desmond, Eva and Frank brought record-breaking rain and devastation to families at Christmas. 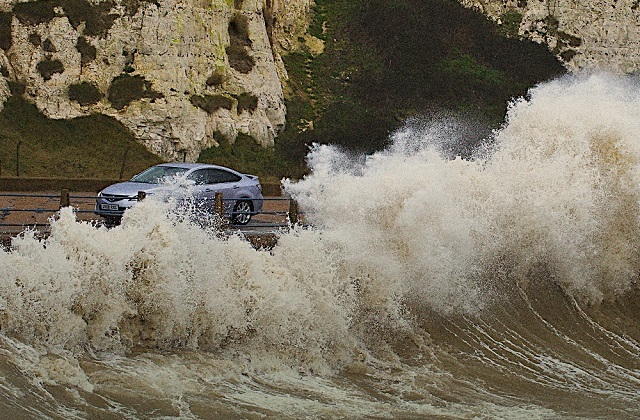 December was the wettest month on record for the UK since records began in 1910. Around 16,000 properties were affected in Cumbria, Northumberland, Lancashire, Yorkshire and Herefordshire. Despite the upheaval for many people, our flood defences protected approximately 12,500 properties during Storm Desmond and 10,900 during Storms Eva and Frank, against flooding. Since then we have been working hard to undertake the necessary repairs in order to get ourselves ‘winter ready’ and all of those communities affected by flooding last winter now have the same level of flood protection they had before winter 2015/16. 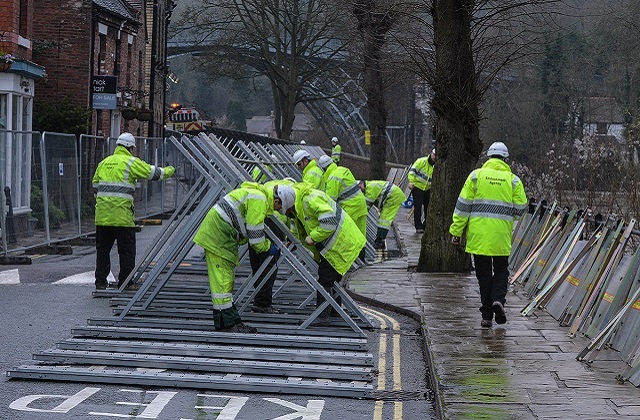 This is a result of a £65m programme across the north of England, involving 20,000 inspections and around 650 repair projects, to restore flood defences or, as in the case of the Foss Barrier, significantly upgrade them. As well as this repair programme, since January we have completed over 130 schemes across the country to better-protect nearly 55,000 homes from flooding. Each year we run our flood action campaign in order to highlight the need to check your flood risk and prepare appropriately. 1 in 6 properties in England are at risk of flooding yet a recent study on winter preparedness shows that 46% of people have not done anything to get themselves ready for winter. Research also shows that young people are potentially less aware of their flood risk and so this year, as well as increasing awareness across all communities, we have decided to specifically target the campaign at the 18 – 34 age group. 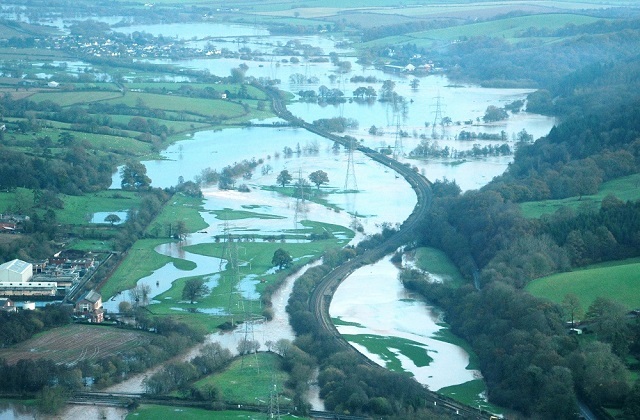 Research indicates that while 105,000 young people live in areas at medium or high risk of flooding – a fifth of the total population in those areas – almost half said that they would not know what to do in response to a flood warning. Advances in flood forecasting and engineering have helped make this nation more resilient to flooding – but the recently published National Flood Resilience Review (NFRR) showed that even more extreme weather than last winter is possible and we all need to be prepared. In recent years we have seen few causalities from flooding – a combination of good forecasting, community response and luck. Last winter could have been a completely different story if Storm Eva had hit on a busy work day, rather than Boxing Day, when far more people would have been at risk. In the USA, this year alone, nearly 150 people have been killed by floods. Knowing if you are at risk of flooding is important not just to look after your possessions – but to help keep you and your family safe. We all have a role to play in keeping our homes, families, and communities safe. Have you checked your flood risk? You can use the Environment Agency’s maps to find out if you, your family and loved ones are at risk from flooding. Have you signed up for flood alerts? You can sign up for free flood warnings for your area: sign up online or call Floodline on 0345 988 1188 to sign up. We can send you Twitter Alerts through our national Twitter accounts. Have you created a flood plan? I’m proud of the great staff we have working at the Environment Agency, many dedicate their entire careers to helping keep people, communities and the environment safe from the devastating effects of flooding. But we can only do this with you too – so whatever you do today, make sure you are #floodaware this winter. You can follow John on Twitter (@johncurtinEA) and the Environment Agency on Facebook and Twitter. We’re prepared for flooding, are you?